People who file for Chapter 7 bankruptcy should be prepared to liquidate some of their assets. This bankruptcy is designed for people who have little or no money remaining after paying basic monthly expenses. By requiring them to sell what little property they have other than necessities and discharging the remainder of unsecured debts, Chapter 7?erases debts. By enlisting the help of an experienced chapter 7 bankruptcy lawyer, you may be able to save most of your assets. Congress instituted Chapter 7 for people who need to discharge debt quickly but do not have the financial means to do this. This type of bankruptcy is most suitable for people who have little more than clothing, furniture, and other household basics and are struggling to repay credit card bills, medical bills, and other unsecured debts. The typical Chapter 7 filer has little money to pay bills each month, and must meet a means test based on income. Car ? 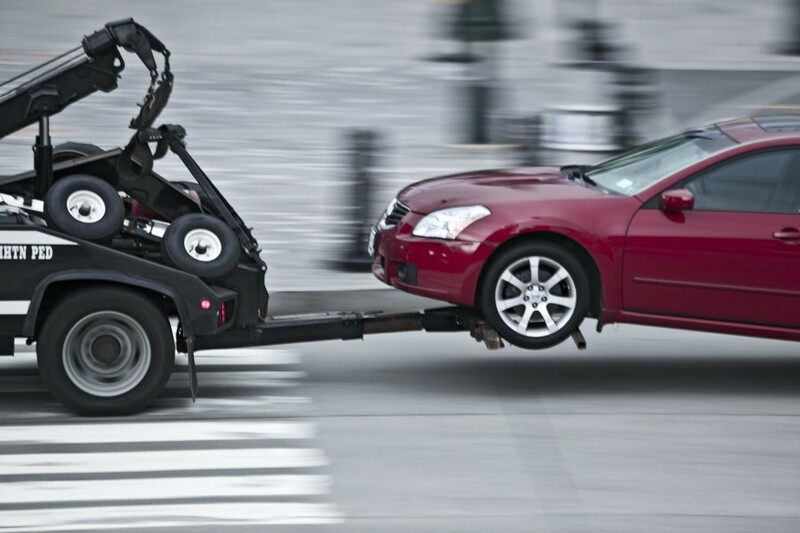 In order for the lender to repossess the car, they will have to file a motion with the court. If the motion is granted, the lender can take the car, but you have several options to get it back. You can try to renegotiate the terms with the lender, make back payment, or redeem the car for market value after it has been repossessed. Read more about keeping your car in Chapter 7 bankruptcy. Home ? this depends on how much equity you actually have in the home. If you have little to no equity, it is unlikely the home will be put up for estate sale. If you are behind or have an upside down mortgage, this may be a good time to reach out to the lender in an effort to create more favorable terms. Consult our post on property and Chapter 7 bankruptcy for more information. Luxury Items ? any luxury items will more than likely be forfeited during the bankruptcy. Items such as a second and third car, boat, antiques, or other items not deemed necessary for everyday living. Household Furniture ? items such as your furniture are generally left alone, even if you have debt being held against the items. For instance, part of your bankruptcy may be a credit card debt to a furniture store. The debt is dismissed, but the furniture will remain in your possession. Wages ? wages earned after filing for Chapter 7 may be kept but if the income was earned before the filing but not received until afterward, it may need to be surrendered. This is because all property that comprises the financial situation at the time of the filing becomes part of the bankruptcy estate. Income that has been earned but not received is part of this estate. Cash Assets ? most of your cash assets can be forfeited, with a minimal amount remaining for everyday expenses. This can include investment and retirement accounts unless they are deemed exempt according to your state bankruptcy laws. Inheritance ? if you have received any inheritance benefits within six months of filing, these benefits may be seized by the court to pay off your debt. Individuals filing for Chapter 7 bankruptcy typically have limited incomes. They do not want to jeopardize their employment by eliminating reliable means of transportation. Fortunately, they can pay off credit cards and other debts with different assets. Being able to keep their cars means they can earn a living while getting out of a difficult financial situation. Car loan balance, status of payments, and available bankruptcy exemptions determine whether Chapter 7 bankruptcy filers can keep their vehicles. Since a car loan represents secured debt, Chapter 7 bankruptcy filers may use one of the bankruptcy options for handling this type of debt. Those who lease their vehicles can assume the lease through bankruptcy for the continued use of their cars. Reaffirmation of the car loan is the most popular way to keep a vehicle during Chapter 7 bankruptcy. The filer agrees to repay the loan as if bankruptcy had not been filed. In exchange, the lender allows the individual to keep the car. To qualify for reaffirmation, a Chapter 7 filer must prove that the vehicle is necessary and the loan payment is affordable and reasonable. Once the bankruptcy discharge is issued, the filer is bound by the reaffirmation agreement and must continue making loan payments. Reaffirmation has several benefits including continuing with the loan term that existed before the bankruptcy filing. This means that the loan payoff date will not change. Both the interest rate and loan payment are locked in, making this financing more affordable than subprime lending available after Chapter 7 bankruptcy discharge. Redeeming the car loan is an option if the filer has enough cash saved. Redemption involves making a lump sum payment equivalent to the market value of the vehicle. The value must be at least the amount that a car dealer would charge for the same vehicle based on age and condition. The Kelley Black Book, Kelley Blue Book, and NADA Guide provide information regarding vehicle values based on year, make, model, and condition. Some property is considered exempt with Chapter 7, meaning the bankruptcy trustee may not acquire it. The amount of property that an individual may keep is based on the value of assets and the exemptions available to the debtor. The federal system and each state have a list of exemptions. The bankruptcy trustee considers the value of property when determining whether to take it. Certain exemptions can be combined to save property and even if an asset cannot be fully exempted, the trustee may elect not to take it if the value only slightly exceeds the exemption amount. This is just one example of how a debtor can keep an asset even if it is nonexempt from bankruptcy property. Even if the trustee does not abandon an item, the debtor can keep it by paying the trustee the amount equivalent to the nonexempt portion of the asset or exchanging it for an exempt asset. While Chapter 7 bankruptcy erases debt, this benefit may come at a cost of giving up some property to repay creditors. Due to state and federal exemptions and other methods used to retain the property, the result is not usually as bad as the debtor may expect. The debtor can prevent full liquidation of assets and get back on track financially within a short period. Though a Chapter 7 filing remains on the credit report for seven to ten years, this blemish is a small price to pay for eliminating debts. In addition, with use of prepaid credit cards or full repayment of credit card bills each month the credit score may begin improving within one to two years. This turnaround can result in more offers of credit that, when used wisely, can have added credit-boosting effects. Speak to a bankruptcy professional now for a free consultation!